Learn from one of the area’s most imaginative and skilled printmakers in a two-day, printmaking workshop Saturday, April 28 and May 5 from 10:00am to 3:00pm at Coos Art Museum. 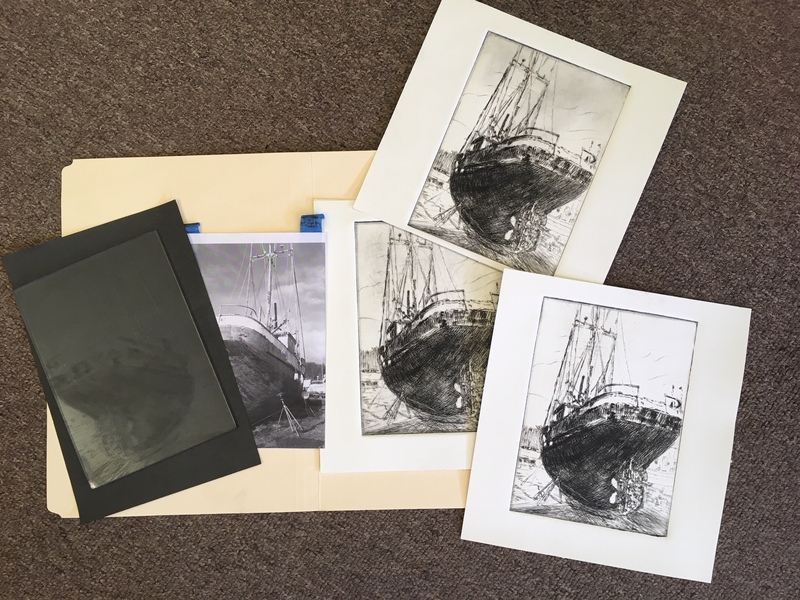 Renowned local artist, printmaker and art educator Pat Snyder will share with workshop participants the process of Direct Intaglio Printmaking. Popular with artists because of the lack of etching acid, this form of printmaking requires sincere physical and creative participation. The term ‘Direct’ is used to classify the ‘direct force’ techniques applied to the printing surface. These include drypoint, dotting, engraving, roulette, scraping, burnishing, abrading and polishing. Parts of the plate surface are removed or displaced during this subtractive process. Each technique has its own handling qualities and printed results. This workshop is a prerequisite for independent use and rental of Coos Art Museum’s Printmaking Studio. Cost for the two-day workshop is $75 for CAM members and $90 for non-members. Registration ends April 21, 2018. For online registration visit www.coosart.org or contact the Art Education Dept. at (541) 267-3901.